Shipping freight from A to B has taken on the challenges of doing it ever faster and better with less waste and higher customer service standards. Freight logistics technology is part of that drive. As it stands, we have technology at our fingertips that is changing the way we plan and carry out our business. With companies like Amazon setting a high bar for rapid delivery-even same-day- innovations in every phase of manufacturing, sales and delivery are clearly moving us toward undreamed of efficiencies and speeds. What’s happening in the world of logistics? While there are new tools being developed all the time, there are a few we can take note of Here are just a few notable areas in which electronic and other technologies have significantly carry the field further into the future. A Transportation Management System is a type of computer-based program or application that helps customers and shippers derive the most efficient shipping modes using estimation data. When given certain parameters to follow, a TMS can help the user figure out the most practical way to ship their freight, factoring in timing and affordability. After the user has decided upon which shipping method they want to use, the TMS can also set the action in motion and track progress, connecting to the carrier and also confirming that the cargo was delivered to the destination on time, late or early. These types of systems have changed the way we move freight because it makes it easy to automate parts of the process that formerly involved someone making a handful of phone calls, waiting for an answer, then communicating the information back to the shipping client. Having RFID (Radio Frequency Identification) and barcodes on containers can help distributors and companies locate, sort and catalog their items almost instantly. When combined with access to the data on the internet, it makes it fairly easy to understand your supply chain and analyze where the bottlenecks are. RFID tags usually take the form of a stick-on patch that contains a tiny amount of digital memory in a chip and a small antenna arranged in a square around the chip. Some are battery powered, but most are passive, activated only when interrogated by a radio wave emitted at a set frequency at short range. The RFID sticker emits a signal revealing any data needed to identify the item. Barcodes aren’t always a series of parallel lines of different thicknesses. 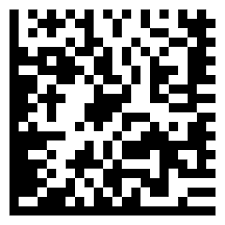 There are QR codes and Datamatrix type labels that reveal large amounts of information in a very small space when scanned by a laser and interpreted digitally. Both make tracking shipped items simple and accurate, and other complementary technologies like picking and packing robots can understand them better than speech. In our attempt to automate every process imaginable, moving freight down existing highways in existing vehicles is a first step to automating long distance transportation. Though self-driving cars are still in testing stages, automated trucks are much further along, largely due to the fact that long haul trucks can run on their own over large segments of a trip and use a human pilot in more congested areas. Staying in a traffic lane and avoiding other vehicles is well within the capabilities of today’s autonomous trucks. Most agree that self-driving trucks will be safer and better at moving freight than human counterparts. In the immediate future, autonomous trucks will roam the highways between cities with a human driver available for getting on and off freeways and navigating to a loading dock or other destination. This will allow for trucks to be on the road for more hours at a time- no drivers means no mandatory stops as required by law for human drivers. After those developments mature, work on automating the final legs of a truck route will continue to bring fully robotic delivery of goods from factory to retailer. Self-sailing seagoing ships are also in development. In fact, the first automated shipping company was launched this year in Norway under the name of Massterly, a company whose aim it is to operate a fleet of autonomous ships. The goal of this prospect is to dramatically decrease the costs of shipping over oceans, a mode of transportation of goods that continues to prove its worth. Automated shipping lanes are perhaps even more feasible than road-bound cars and trucks due to the decreased risk of collision in larger travel spaces. 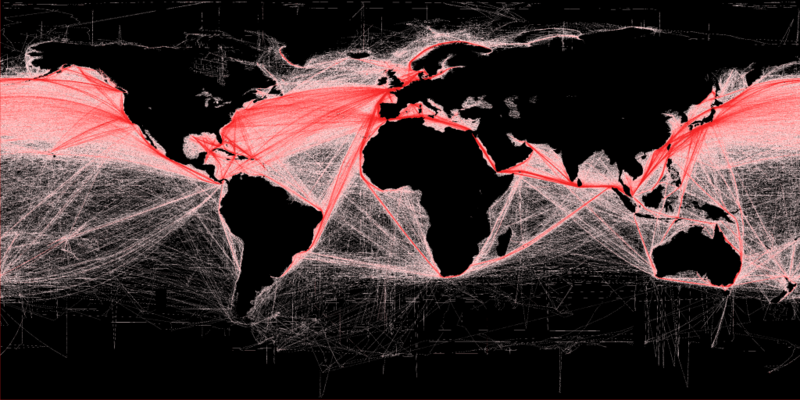 GPS navigation has proven itself to be accurate enough to bring ships over a sea route without difficulty. Europe and particularly the Nordic countries are investing heavily in the technology and it’s being tested along shorelines worldwide. In addition to automating the responsibilities of deck officers (planning, communications and navigation), robotic ships face a dated and complex set of maritime regulations. The International Maritime Organization requires ships to have a designated lookout, however, there’s no specific clarification about it being done with a camera, or if the lookout must be on board. The lure of cheaper shipping (up to 20% in some estimates) continues to drive innovation. There are still many challenges to be met, like what you do in the case of a ship being disabled mid-voyage, and how security will be handled, but the trajectory is set- you will soon see crewless container ships making their way across the world’s oceans. Electronic Freight Management is a work in progress involving the rapid and accurate movement of information through a supply chain system. The amount of freight moving through border control points such as airports, seaports, and landlocked borders continues to increase and EFM is one tool being developed that will smooth the way. It’s a protocol of coordination between all partners in a supply chain delivery system, such as government agencies, suppliers, “Last Mile” carriers like UPS or FedEx, importers, warehousing, sea / air / rail / truck transporters and more. The goals of a standardized EFM system is to reduce institutional and corporate barriers, standardize information exchange between all parties involved, building public-private partnerships, and ultimately double the efficiency of US freight movement. As of now, most large shippers use digital tools to track shipments and to tie that into inventory management. The problem is that the proprietary nature of individual systems prevents major efficiencies on a much large scale. In a global move toward changing the way we interact with the environment, the logistics industry is an enthusiastic participant. One of the obvious ways that technology is being used to make shipping more environmentally friendly is the transition to renewable energy, such as solar and wind-based power. While still higher than traditional fuels, renewable energy costs are coming down fast and with the onset of high-tech storage solutions, fossil fuels will most likely taper off in the coming years. Every little bit helps. Using remote sensing to accurately predict the sailing conditions and the best route to take allows ships to optimize voyages with accuracy that previously wasn’t possible. This is the era of “big data,” and this area is no exception- The data that we collect from that can then be stored for further use in planning future routes. Case in point- arctic sea routes are opening up as the extent of sea ice is reduced, which means possible shorter voyages for shippers and fuel savings (and less pollution) for the planet. Outside of computer-based technologies, there are also recent developments in the actual movement of vessels such as Sky Sails, that enable cargo ships be towed by large kites during some legs of a voyage. These types of sails are inexpensive to maintain and use, cutting emissions and fuel consumption. Sky Sails can also help decrease the amount of wear-and-tear that the engine of any given boat goes through, making the ship’s life last much longer than it would otherwise. Warehouse Management has become easier than ever thanks to the new technology that lets many processes that used to require multiple people and a much longer time frame now only require a single computer. One of the most direct ways to improve the movement of stock through a warehouse or distribution center is to remove paper from the equation. Not only does this reduce the operating cost, but it will also make the system more efficient overall, allowing for stable documentation and fast storage and retrieval of records. 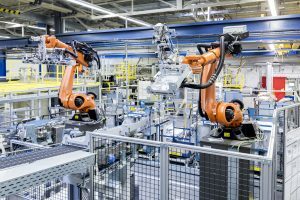 There are many examples of roles that robots can fill in warehouses; repetitive jobs that require untiring accuracy and physical endurance, like picking and packing. Machines that are now able to do nuanced, specific actions will eventually replace most difficult to staff jobs in the warehouse. Artificial Intelligence (AI) has also played a role in warehouse efficiency over the past few years. AI can assist a company with decision-making, interpreting data and machine learning on many levels of supply chain function. Drones are becoming more commonplace for a wide variety of uses, so it’s natural that this innovation would also transfer to the logistics industry as well. Having drones fly shipments for the last bit of a journey. While drone delivery of larger cargo is still far in the future, a culture of drone use has already taken hold in holding yards and large warehouses where overhead inventory or locating cargo can be done remotely by a sophisticated flying drone. Indoors or outdoors, a flying drone can interrogate an RFID or laser scan a series of cartons or containers much more quickly and safely than a human counterpart. PINC, a yard management systems provider, has included drones in their warehouse inventory application suite which are used to locate and catalog stored cargo that is stacked sometimes 20-30 feet off the floor. Advanced sensors allow the drone to navigate the space and find the barcode, scan it and immediately map it’s location and any other details needed. The ways in which companies can communicate with customers has become more robust over the past few years, especially with the rise of social media networks. Smart companies determined that some of their customer service would be appropriate for platforms like Twitter and Facebook. Communicating directly with users in ways they are comfortable is important for positive customer service. After a long season of automated phone systems that can prove to be too labyrinthine for customers, logistics providers have taken note of the move to chat or message- related features of social media platforms. Self service is the goal, where users of a logistics service are able to find information without having to go through multiple communication modalities. If the drop-down menus aren’t helpful, an inquirer can request to speak with an agent who can either use voice of chat to answer questions or provide more information. Since this can all be done from their handheld device, it has revolutionized the ways shippers and receivers get information. The most vulnerable phase of the journey from manufacturer to consumer is often found somewhere in the logistics process, whether it’s the transition from ship to shore transport or storage in a yard or facility. To that end , the entire industry is looking for solutions to the issues of cargo theft, illicit importation and loss or damage due to natural causes like pests or weather. There are already some good technologies in play that help protect freight, like cameras, tracking tools and databases that keep note of trends. Layers of security around ports and warehouses help as well. Bogus cargo pickups are a constant problem, where an impostor driver picks up a container and it’s never seen again. Better gate security with more extensive clearance procedures do help, but the bad guys can sometimes outwit current technologies. Certainly better information exchange like the EFM program will make a difference, but so will clever approaches to deploying tools that can sense when security is compromised. Tracking devices are the most promising area of improved security, as are some of the other digital technologies mentioned here. Blockchain approaches have the potential to add to the overall security of shipping. Maintaining a distributed ledger of all exchanges or hand-offs from origin to final use can make the entire complex system more transparent for users of the system and harder to defeat for those who look for opportunities to siphon off cargo. Shipping technologies continue to change and advance and we’re keeping an eye on all of it. Our customers deserve the best in efficient and safe transport and Port City Logistics is ready to meet the challenges of the future of logistics head-on. Start a conversation with us about how you can benefit from our capabilities as a full-service logistics company.